Crete is a large island so careful planning is guaranteed to save you plenty of time so you can make the most out of your Greek holiday. 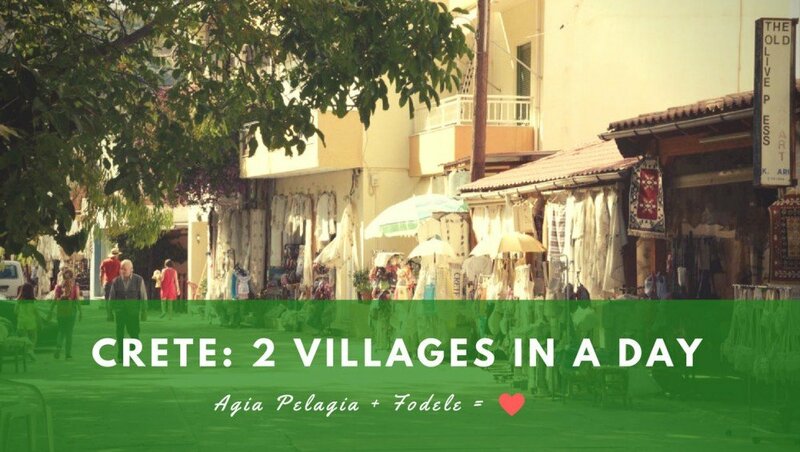 Spend the exploring two villages with their own distinct characters: Fodele and Agia Pelagia. We recommend that you start your day as early as possible and make your way to beautiful Fodele first. 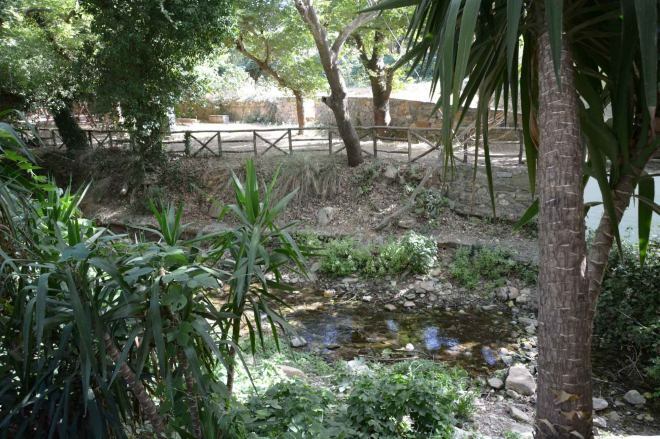 Step into Fodele to find a quiet little Cretan town thick with trees and a gurgling river. Above the river is the village itself where a main pedestrian lane is lined with charming handicraft shops and traditional tavernas. This town is charming and it also owns a strong association to one of the most famous painters of all time. This is where El Greco, the famous painter of the Spanish Renaissance, was born in the 16th century. Domenikos Theotokopoulos earned his nickname (which means the Greek in Spanish) while he lived in Spain and painted impressive and expressive works that helped define and influence various art movements. To learn more about El Greco, head to the El Greco Museum which is a short one-kilometer drive from the village. Admire the powerful collection of reproductions of his most emotional and passionate paintings. The works are enhanced with black lighting to bring out the soulful and emotional grace that El Greco successfully conveyed to the world during his lifetime. A short drive from the El Greco Museum you can make another stop at the 12th-century Church of Annunciation of the Virgin Mary. Inside this church you can appreciate frescoes and the intricacy of its design. This little church was a structure of importance during the mid-Byzantine period. Drive five kilometres more, through a patch of orange groves, to find yourself at the Monastery of Agios Panteleimon. Note its Venetian era influences, fine architectural details and imagine how it was once an important center of revolutionary activity for the Cretans. From the impressive historical and religious ties that made Fodele famous you can enter a village known for its fun, laid back beach style. Located 17 kilometers northeast from Fodele, this coastal town is one of Crete’s most known beach resort destinations. It’s where visitors from around the world come to relax, enjoy good food with a sea view, sunbathe and swim all day. Along the stretch of Agia Pelagia’s coast is a selection tavernas and cafes that are perfect for a lingering lunch or sunset dinner. Some of our favorite beaches are Ligaria, Made and Psaromoura. Monofatis is another lovely beach known for its deep cool waters and sandy bay. Like just about everywhere in Crete, there is more to a place than its beauty. The Kladatos archaeological site, known for Minoan graves, are found here. There’s also the Evresi Cave which has many local legends attached to it including one about a mystical icon named after the town itself. 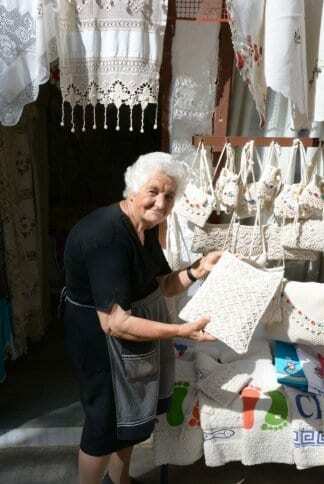 Experiencing two villages in a day is a great way to see more of what Crete is famous for. 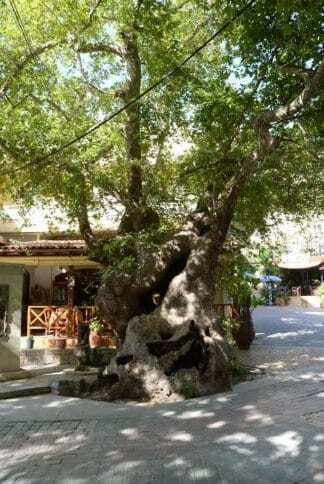 Have you been to Fodele or Agia Pelagia villages before? If so, which village did you like best?